Join us for our October 26 Opening Receptions, then stay for the Science Fair! The Sensory Engagement Lab will present prototypes and works in progress in an informal science-fair style setting. Come out and play with the interactive objects that Sensory Engagement Lab members have been working on, and speak with members about their process! 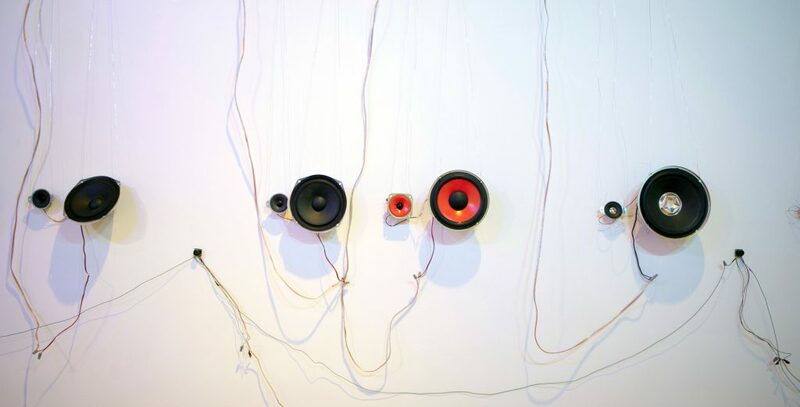 Directed by Liz Lessner, the Sensory Engagement Lab looks at how novel combinations of materials and embedded electronics contribute to sensory experience by fostering collaborations between artists, technologists, and other thinkers to produce interactive and experimental art works. This event will take place simultaneously with our next opening reception on October 26th.